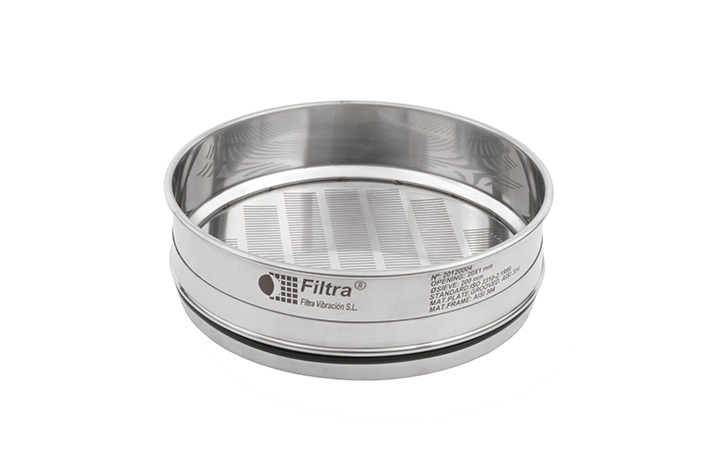 FILTRA VIBRACION, S.L manufactures a wide range of laboratory sieves with diameters from 60 to 600 mm, with top quality AISI 304 or AISI 316 stainless steel for the frame, AISI 304 for the perforated plates, and AISI 316 for the metal meshes, providing excellent durability and high resistance to corrosion. 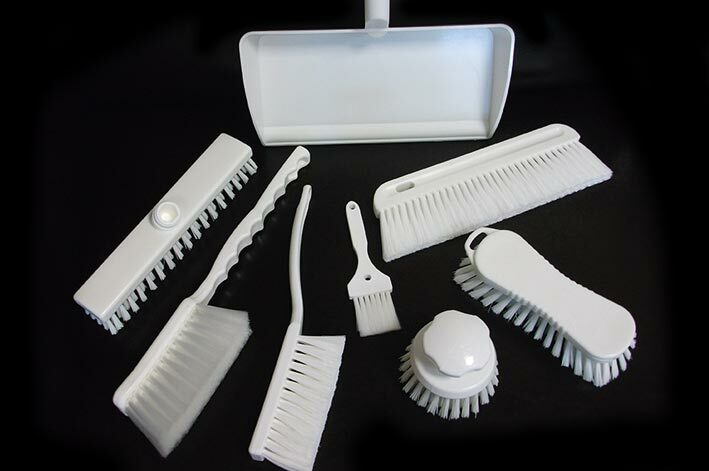 They are all manufactured in strict compliance with UNE, ISO, ASTM, AFNOR, BS, etc. national and international regulations. 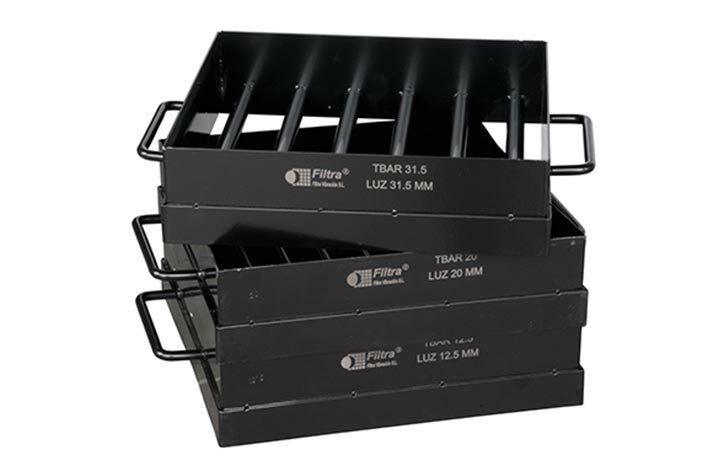 The FILTRA Quality Management System for the manufacture of these sieves is certified by TÜV NORD, in accordance with UNE-EN ISO 9001:2000 regulations. They are manufactured in two pieces, allowing the mesh to be changed when it has deteriorated or does not meet the regulations. 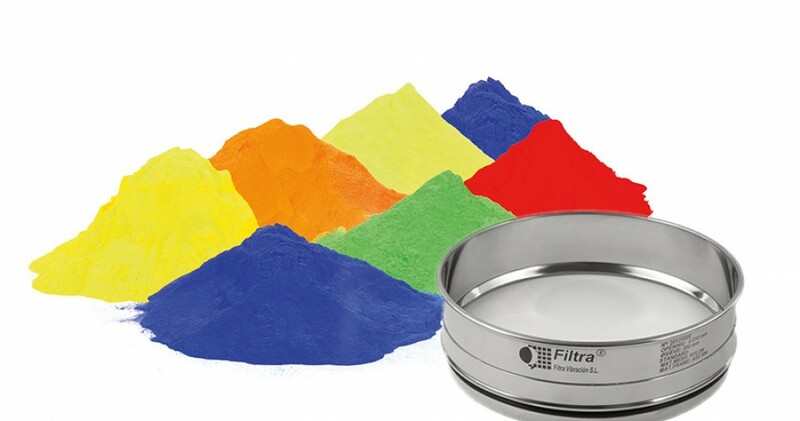 The interior sieve surface is totally flat to prevent the accumulation of residue and dirt. Cleaning is very fast and easy. In addition, we can make a specific and deeper test in our laboratory, accredited by ENAC, which certifies the conformity of the metallic meshes and perforated plates according to the manufacture standards. Manufacture according to national and international regulations. High quality. High resistance to corrosion. Excellent durability. Manufactured in two pieces: allows the mesh to be changed. Totally flat surface for easy cleaning. Product residues do not accumulate. Individual identification by laser, allows the sieve to be traced. 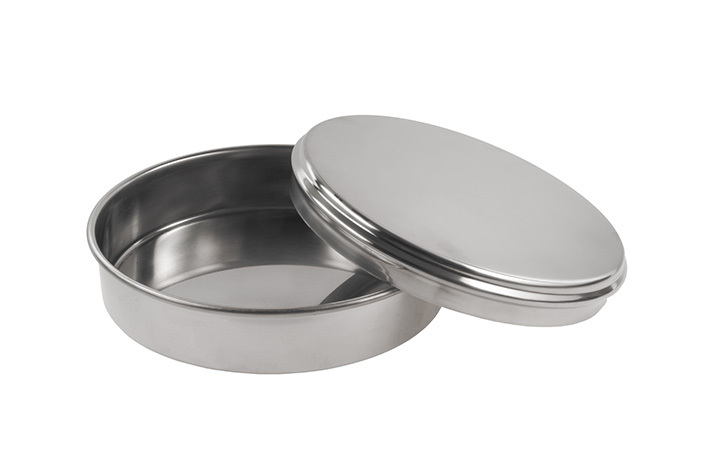 The sieves can be fitted together and fitted to those from other manufacturers perfectly. Maximum stability and sealed fit for sieves stacks. 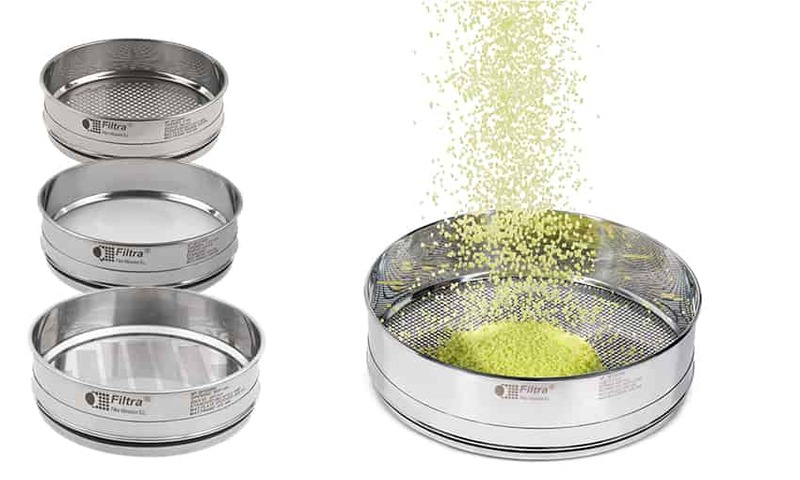 Before being supplied, each sieve is subjected to optical calibration and provided with a manufacturer’s certificate and documentation regarding maintenance. 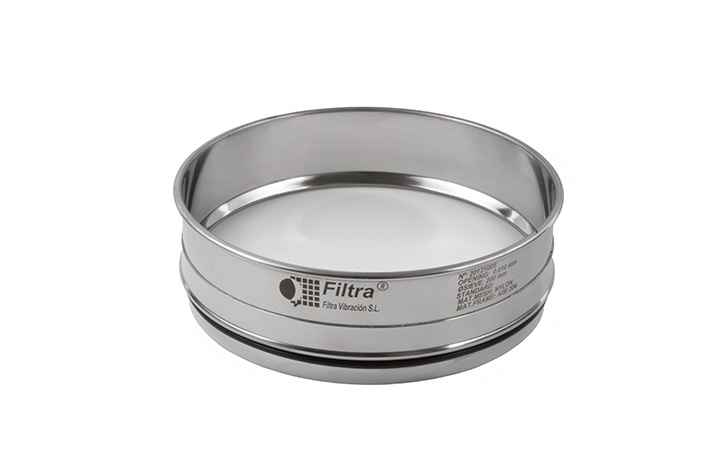 We also have lids and bottoms in stainless steel in all diameters for which we manufacture the sieves. 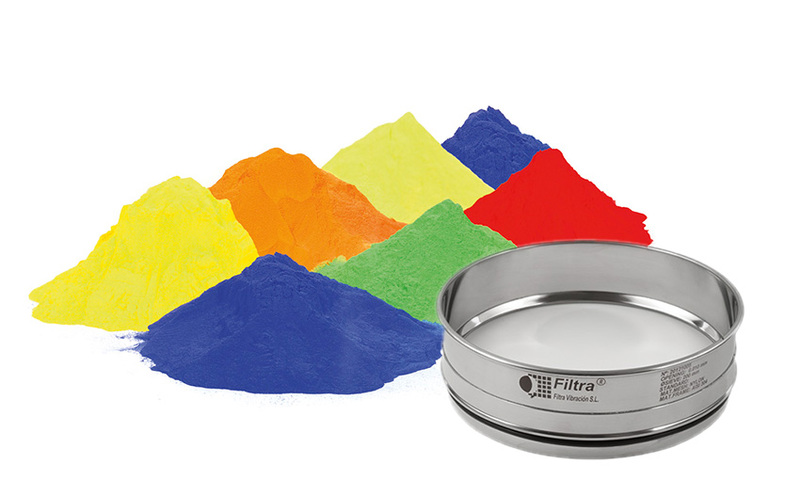 Our laboratory sieves have a rubber seal included in order to ensure they fit tightly. In addition, they can be fitted together and fitted to those from other manufacturers perfectly. Marking is done by laser etching on the frame, giving each sieve an individual identification number, which allows for subsequent tracing. 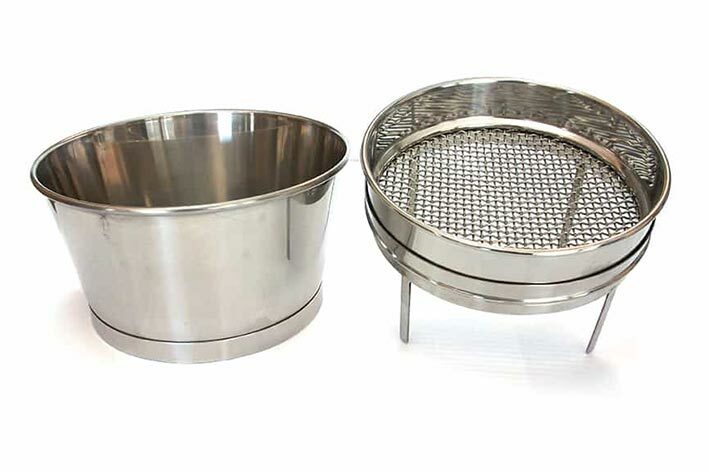 Sieve with stainless steel frame and mesh. 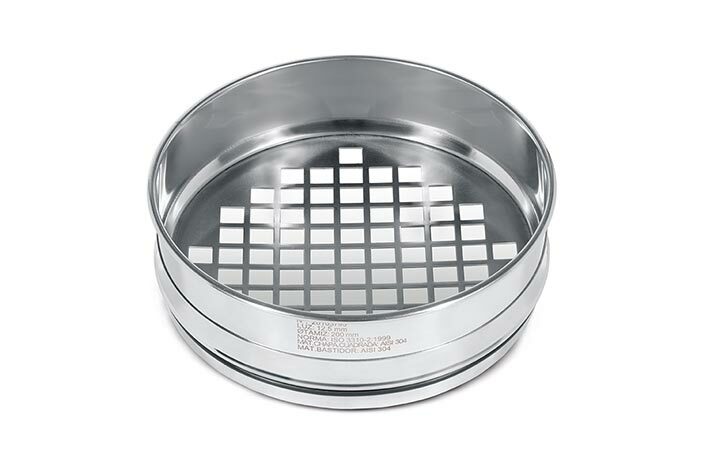 Stainless steel sieve with square-holed perforated plate. 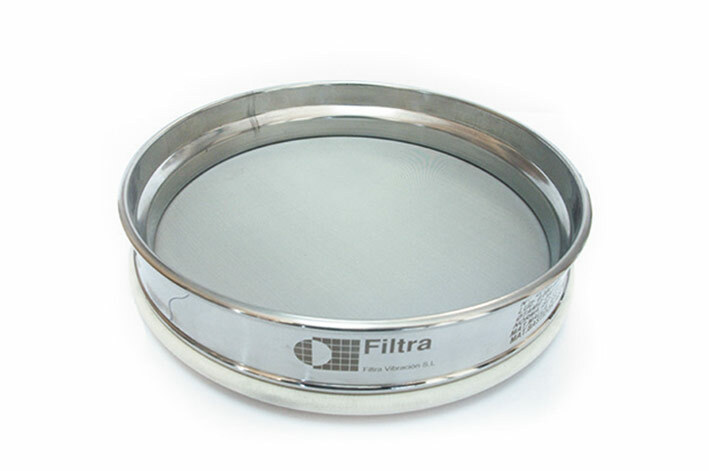 Stainless steel framed sieve with nylon mesh. 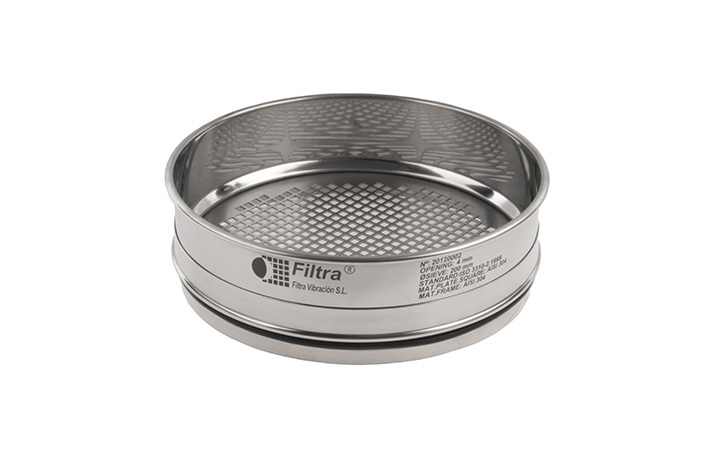 Stainless steel sieve with oval-holed perforated plate (for cereals, ISO 5223).. 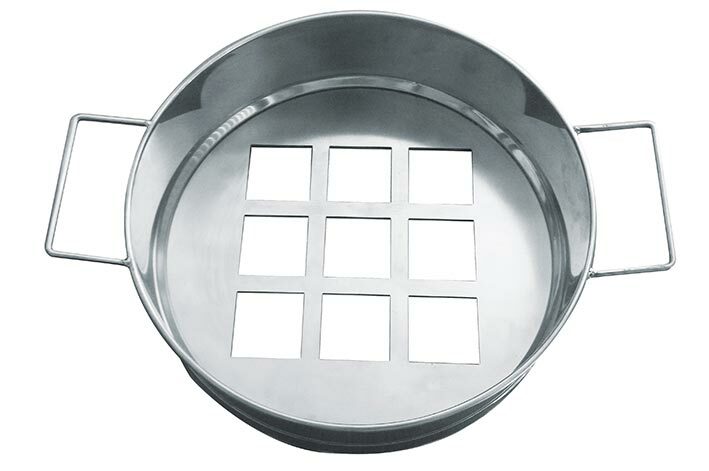 Stainless steel sieve with round-holed perforated plate. 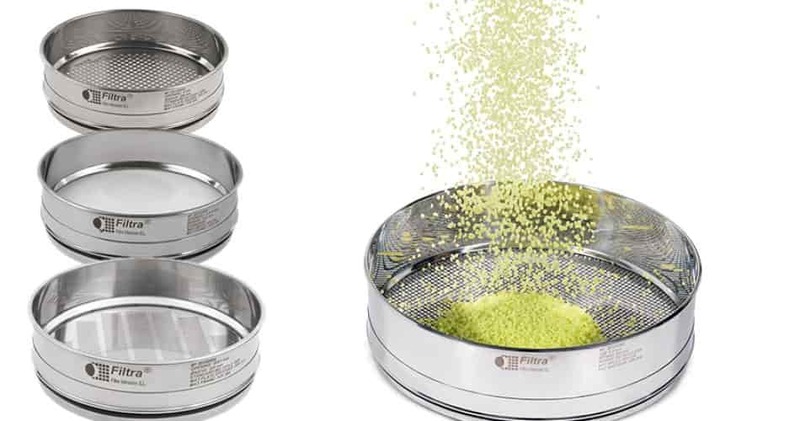 Special stainless steel sieve for EOLO-FTLBA (Air Jet) sieve shaker, with stainless steel or nylon mesh. Grid Sieves made of paint carbon steel. 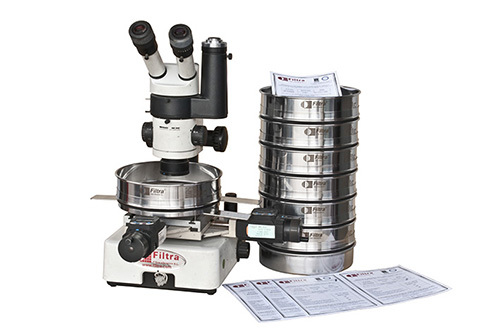 Stainless steel lids and receivers in all sizes. Food balls used to open the mesh of sieve.